Every year the Boise Regional Realtors (BRR) recognizes top producing agents based on their sales volume. 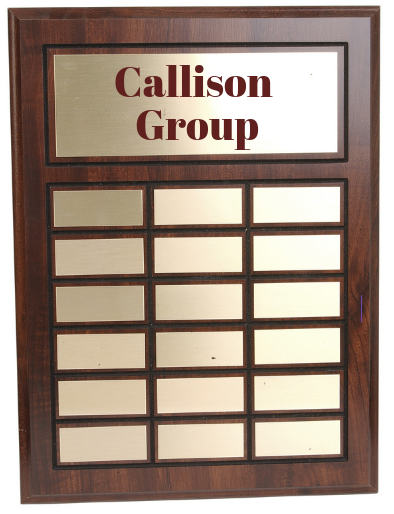 We are proud to announce that the Callison Group qualified for and will be receiving the Diamond Level Award for our combined production for 2018. This is the highest level team award that the BRR offers. We also want to give special recognition to the following team members who each received awards for their individual production. Everyone was helpful and easy to deal with. Austin and staff were always quick to return calls and answer questions. We were never out of the loop or wondering about our status. Everyone was helpful and easy to deal with. Great agent and service. We had a great experience in a situation that could have been difficult. We had a great experience in a situation that could have been difficult. Anyone can close a deal when everything goes just right. It's those closings that present challenges with delayed funds from lenders, contingencies, multiple offers,etc that separate the average broker from the superstars. The members of the Callison Group were superstars--calm, cool, and collected throughout multiple delays--never panicking and, ultimately, getting the job done!